SAN ANTONIO — Embarking on the latest chapter to the years-long battle over the state’s political maps, Texas and its legal foes on Monday faced off in federal court over minorities’ voting rights and the district boundaries the state should use in the 2018 elections. Focusing first on the state’s House map, minority rights groups suing the state began the trial by slogging through 10 hours of dense expert testimony, election analyses and state lawmakers' methods of redrawing political boundaries in an effort to convince a panel of three federal judges that the state’s existing map is illegal and must be redrawn. It was the first day of what’s expected to be a week-long trial before a court that earlier this year found that Texas Republicans intentionally discriminated against Texans of color in previous mapmaking. “Even today ... minorities are underrepresented when measured against population data and population figures,” Garza said. MALC also presented an alternative map to demonstrate that the state House boundaries could have been drawn in a way that minimized the slicing of municipalities and created additional "opportunity districts" where minority voters are able to select their preferred candidates. While they’re challenging the existing map as a whole, lawyers with the Mexican American Legal Defense and Educational Fund specifically focused on House District 90 as a district that should be invalidated, making the case that the redrawing of the district unconstitutionally diluted the strength of Hispanic voters. One long-time Fort Worth resident involved in local politics told the court that the new boundaries of HD 90 "made it harder for a Hispanic to win." Late in the day, a lawyer for the NAACP started making its case against the state House map, opening with testimony on coalition districts in Bell County — one of several claims they've raised against house districts across the state. The NAACP is expected to continue its arguments that the state only adopted the court's interim maps to avoid additional scrutiny and never planned to fix the discrimination that’s “deeply steeped” in the maps. The political stakes are high. A ruling from the court could result in legislative and congressional boundaries that are less ideal for Republican candidates. And the state’s opponents are also hoping the legal wrangling could lead to Texas being placed back under federal electoral oversight years after a U.S. Supreme Court ruling freed them from that guardianship. The state is expected to make its case and present its own witnesses later in the week. In legal filings, state attorneys have argued that the court-drawn maps the Legislature adopted in 2013 adequately addressed their foes’ claims. They’ve also asserted that the state is not liable for any intentional discrimination in the 2013 maps because the courts were behind the mapmaking. 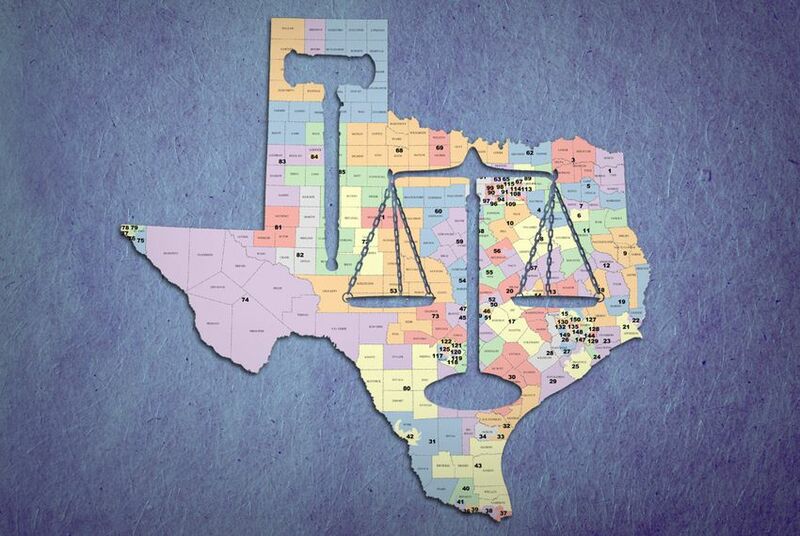 The panel of judges presiding over this week’s trial ruled in April that Texas lawmakers intentionally in 2011 undercut the political clout of voters of color with its 2011 maps and created House districts that resulted in “even less proportional representation” for minority voters. They found that Texas lawmakers either violated the U.S. Constitution or the Voting Rights Act by intentionally diluting the strength of minority voters with those House districts — echoing their earlier ruling that some of the congressional districts did the same thing. Some of those issues were addressed in the temporary, court-drawn maps the Legislature adopted. But some lines remained the same. The trial is expected to conclude on Friday or Saturday. The court will also hear arguments over the state’s congressional map.